Only a garden escape in Northern Ireland, on rubbish dumps and sandy waste ground, not persisting more than a few years. Widely cultivated as a cooking herb; probably of European continental origin. 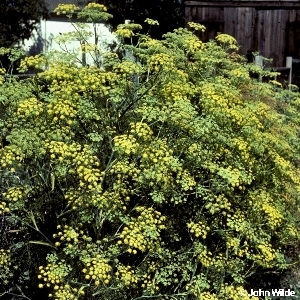 The combination of fine feathery leaves, yellow flowers and the distinctive scent of the plant when crushed make it one of the easiest umbellifers to identify. 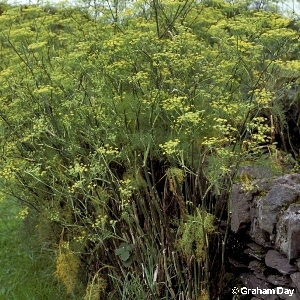 All names: Foeniculum vulgare Miller; Foeniculum officinale All. ; Foeniculum foeniculum (L.) Karst.